The last 60 days have been light years different than the first 120 and not for lack of Russ keeping it on schedule. We could bore you with all the details of why the digging and foundation are so important and yada yada yada, but lets get to the good part. It all made today's ascent to the top level that much more rewarding and the anticipation of welcoming friends and guests up there that much more exciting. That's the Ortega River draw bridge. As is typical of Design Cooperative, they are stingy with the interior design drawings (see previous material about the above conceptual model), but what we have seen looks awesome. Russ, who runs the triangle like Phil Jackson, and the rest of the contracting crew at DW Meyers have pridefully kept a very tidy site with minimal traffic interruptions. We are all looking forward to the next 60 days. After walking around today, we all agree - Dec 31, 2012 - fireworks from the roof of 1534 Oak. It's really a ride on power trowel, but looks and moves like a floating deck lawn mower. They were using it today to pack down the 2nd floor concrete pour. 10+ trucks of concrete. Good thing we didn't stay around waiting for it not to dry. Tomorrow is the third floor. I still want a hovercraft for Christmas. Not distracted by the Holiday Season, there were more people on the site today than ever. Our Field Manager, Russ, is prepping for some big concrete pours. This time above ground! Sometime this or next week, the 2nd and 3rd floor slabs will be poured. The bottom floor will come after the New Year as the plumbing and electrical sub contractors continue to lay out the massive amounts of spaghetti like conduit in the dirt that will carry lines for phone, electricity, data, water, Coke and beer. Next week, BSRG and DCoop get to walk the grounds and help make sure all those pipes are in the right place. As excited as we are to have a great restaurant and rooftop bar in the neighborhood soon, we're still reminded that someone (inquire within) will have a really cool office space in the hood too. Just a few minor finishing touches but it's a blank canvas! Tenant improvements will include enclosing and railing the staircase. the second floor, and third, and roof. Milan Malinovic says he likes challenging projects. He’s got one in the 1534 Oak St. project. 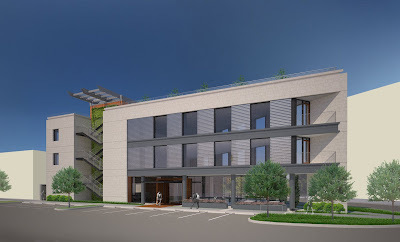 He and his partners at D Coop (short for Design Cooperative) have designed and are involved in the construction of a mixed-use building that will house a ground-floor restaurant, two floors of offices and a rooftop bar on a small, triangular lot near Five Points. The space is tight and the neighborhood is even tighter, a mixture of residential, retail, bustling restaurants and a crowded neighborhood grocery. Malinovic is used to adjusting. He spent the first 33 years of his life in what was then Yugoslavia and is now Bosnia, mostly in Sarajevo. At the University of Sarajevo he got a degree in fine art and then another in architecture and went to work as an architect at the largest firm in the city. But in 1992, with violence escalating as various sections of Yugoslavia broke away into separate countries (six countries would eventually emerge from the breakup), Malinovic left. He moved to Malta, an island nation in the Mediterranean. He could continue to practice architecture there and he met his wife, marrying her in 1993. So he came to Jacksonville because a partner of his knew William Morgan, one of Jacksonville finest architects. Milanovic liked the climate in Jacksonville and Morgan, who was designing a federal courthouse in Tallahassee, had work for him. Technically, Milanovic is no longer an architect since his European license isn’t recognized here. He said he plans to do the necessary course work to obtain his license here soon. But working without a license hasn’t been a problem since he moved here since he’s always worked for other architects who are licensed. He’s worked with Morgan, worked for Reynolds, Smith and Hills and was with Rink, Reynolds, Diamond, Fisher, later renamed Rink Design, from 2002 until it closed in 2010. 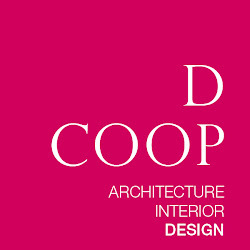 Meanwhile, he and some other associates from Rink Design started D Coop, an architecture and interior design firm, in 2008. “We’re all very different but somehow we jell together,” he said. Any great project needs three elements, he said: a great client, a great contractor and a good designer. The client on 1534 Oak is Black Sheep Restaurant Group, the team behind Chew and Orsay. They’ve placed a high priority on trying to minimize inconvenience from the construction, Milanovic said. The contractor is D.W. Myers, which is dealing with the challenge of not having much storage space on site, he said. As a result, the project is taking time. Ground broke last June. Construction probably won’t end until next June. 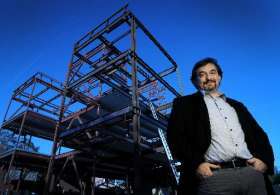 When it’s finished, Milanovic said, he hopes it’s a building which everyone looks at and says, those guys are good. These are going up today or tomorrow. 140 lbs a linear foot of steel. There's a lot going on today at the site and will be all week. The majority of the remaining structural steel was delivered this morning (sorry for the traffic back up this am). The structure should take it's total form by the end of this week with no other major traffic delays.